TULSA, OK - The Tulsa Drillers bats erupted on Monday afternoon at ONEOK Field against the Springfield Cardinals. The Drillers scored in each of the first six innings, and the Tulsa pitching matched the excellence by allowing only a single run in a 10-1 victory. The win is the Drillers second in a row and the second of the season. The Cardinals are winless after their first five games. The Drillers got off to a fast start on Monday. In the bottom of the first, Gavin Lux drew a leadoff walk and Omar Estevez stayed hot with an RBI double. An inning later, Josh Thole found the left-center gap for a double that plated Logan Landon, giving the Drillers a 2-0 lead. In the bottom of the third, the Drillers doubled their lead. With the bases loaded, Cody Thomas singled home a run, and Thole picked up his second RBI of the day with a sacrifice fly to extend the lead to 4-0. The Drillers scoring continued over the next three innings. In the bottom of the fourth, Cristian Santana doubled to knock in Zach Reks. An inning later, Reks brought himself home after crushing his second homer of the season on to Elgin Avenue. In the sixth inning, Lux launched a ball into the Drillers bullpen in right field to extend the lead to 7-1. The Tulsa pitching staff had its best performance of the young season. 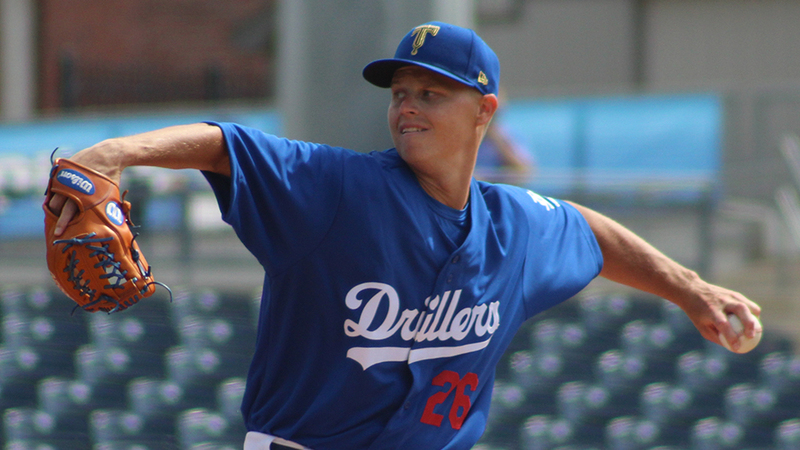 Austin Hamilton got the start on the mound for the Drillers and allowed only three hits in four scoreless innings. Andre Scrubb then made his second relief appearance of the season and allowed only one hit in two shutout innings, earning the win. The Drillers tacked on three more runs in the bottom of the eighth. Lux capped his four-hit day with a two-run triple. Estevez then knocked Lux in with a sacrifice fly, extending the lead to 10-1. *Estevez continued his season-starting hot streak with another hit and two RBI. He has now hit safely in all five games this year. *Lux ended the day a perfect 4-4 with a homer and three RBI. He was just a double shy of hitting for the cycle. *Adam McCreery ended the game with a scoreless ninth inning out of the Drillers bullpen. *Clayton Kershaw will be getting the start for the Drillers on Tuesday night at ONEOK Field. The three-time Cy Young Award winner is recovering from an injury and will be making a rehabilitation start with Tulsa.